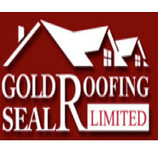 Gold Seal Roofing has been serving Southern Vancouver Island since 1991. 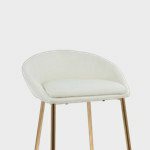 The business was established by Brendan Herlihy as a sole proprietorship and became a limited company in 2005. We specialize in all types of roofing including fiberglass, cedar and metal for sloped roofs to SBS torch-on and TPO membranes for low slope and flat roof application. We are dedicated to high quality installation services, competitive pricing, and customer satisfaction. In fact, the majority of our business is referral. When you need an honest, dependable Nanaimo, BC, roofing company, give Ram Roofing Ltd a try. From high-quality repairs to rain collection system installations, we strive to offer a range of services. Our company has served the area for more than three decades, and we look forward to adding you to our list of satisfied customers. When you choose us, you'll get the benefit of hiring a local contractor with strong ties to the community. From the quality of our materials to the level of professionalism our crews display on the job site, we hope you'll be pleased with every aspect of your experience with our company. Our range of services includes: Roof replacement Commercial and residential roof repairs Commercial and residential roof installations Ram Roofing Ltd is a Nanaimo, BC, roofing company where client satisfaction is the number one priority. We offer flexible appointment times, including evenings and weekends, for your convenience. Contact us today to book a complimentary consultation for your upcoming roofing project. 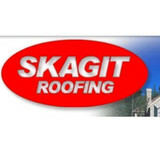 Skagit Roofing is the premier roofing contractor in Skagit County. We have installed hundreds of quality roofs since 1990 and we are proud to offer a TEN YEAR workmanship warranty on our installed roofs. Registered Contractor SKAGIR*077LT Jim Hjelt, owner, keeps a close eye on all phases of your project from start to finish. Once the finished roof is inspected and approved by Jim, you can be sure the entire installation will be trouble free well beyond the warranty period. Take a look at some of our completed roofs below. The next one could be yours! OUR HISTORY: STEVE DUNLAP ADR stands for "Auggie Doggie Roofing". Why "Auggie Doggie Roofing"? There is a very unique story with a very unique German Shepard behind this name. Steve's dog, Auggie, was his work side-kick, assisting Steve throughout his work day. Including climbing up and down ladders, and supervising the roofing process from start to finish on site. Steve thought it only appropriate to name his business after his one-of-a-kind assistant, and the rest is history. With Steve's help, ADR Roofing created a reputation in Snohomish County as a dependable, honest and fair company, dedicated to high quality work at great prices. It is sad to say Steve passed away this June, 2014. Proudly carrying on his legacy, is his son Shane Dunlap, with the vision to maintain ADR Roofing, as a 4th-Generation family owned and operated company. OUR FUTURE: SHANE DUNLAP Shane Dunlap began learning the ropes of roofing, business, and management as a child. Shane instilled not only the skills of what to be a roofer also the skills to run a reputable company. Steve entrusted his business with Shane knowing Shane has everything it takes, the drive, and love of ADR Roofing to take it to new heights and shoot for the stars! Honored by his father's faith in him, Shane is working harder than ever to ensure ADR Roofing will meet and exceed your expectations while maintaining his father's mission and legendary 5-Star service. Shane has already begun taking ADR Roofing to new heights by officially adding construction to the business, and name. 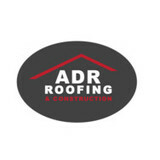 ADR Roofing is now grown to ADR Roofing & Construction LLC. Shane has a whole vision to take this business to new heights and has begun taking the steps to bring that vision to life! 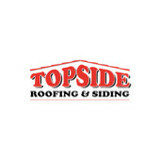 Topside Roofing & Siding was founded in 1989 with a vision towards the future of Installing and Supplying our Customers the Top Products, Quality and Workmanship and Service to our customer’s needs for their Roofing, Siding and/or Gutter Projects. We are proud to offer our services in all of Whatcom, Skagit, and Island County, including Bellingham, Lynden, Ferndale, Blaine, Anacortes, Burlington, Mount Vernon and more. For more information about our service area please call us or complete the Request an Estimate form on the right side of the page and we will give you a call. After 30 years of assisting clients just like you, we have the expertise to assist with the planning of roofing projects big and small. When you’re putting time and money into a new roof, you’ll want it done the right way. We provide comprehensive roofing inspections and project management services to make sure your roofing project goes off without a hitch. We are specialists in roof, chimney and skylight repairs and maintenance. Our services and rates are the best around the Delta BC region and for that reason we have become the most recommended repair company. We specialize in residential & commercial roof repairs, re-roofing, emergency roof repair (24 hrs), skylight installations & repairs, home renovations, and more. We have consistently supplied unbeatable repair services in this region for over 20 years and have successfully helped many of our clients save cash on roof repairs. We are dedicated to offer the best maintenance and installation services and at the same time assist you make maintenance decisions that will see you save money while enjoying exceptional quality and service. We provide a full range of residential roofing services for single-home residences, multi-unit residential complexes and heritage buildings, including: Full re-roofing services New roof construction Roof repairs Ongoing roof maintenance Whether you are looking for a full roof replacement, repairs of smaller issues, or are interested in establishing a maintenance program to prolong your roof’s serviceable lifespan, please contact us today. 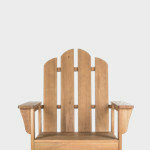 Serving the entire lower mainland since 2010. We provide all exterior services for your home, from window washing to seamless gutter installation. Almost 20 years after opening its doors, SSR Cedar relies on the same principles that have contributed to its substantial growth. We are a family run organization dedicated to serving our customers' needs with quality products and face to face service. 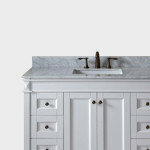 Whether you are a homeowner or a contractor we are able to serve your needs. 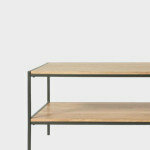 For contractors, we guarantee to supply the highest of industry standard material to your job site. From start to finish we aim to be your one-stop shop for all roofing material. For homeowners, our staff are here for your questions and to patiently assist you in selecting your roofing materials. Our experience in the roofing industry allows us to refer quality roofers to help you in your roofing decision. From selecting the material to putting it onto the roof-top we are here for all your roofing needs. Kanga Roofing are your go to roofing contractors in Vancouver BC. We offer our roof repair and replacement services to residents, businesses and stratas throughout all of the cities located in the Great Vancouver area. Pacific Shores Roofing Company LTD. Welcome to Pacific Shores Roofing Pacific Shores Roofing Company offers new and replacement roofing in the greater Vancouver areas mainly servicing the communities of Langley, Surrey and White Rock. From the ease and flexibility of booking your appointment, selecting the right products, through to delivery and installation of your new roof, our friendly and knowledgeable staff are ready to make your roofing experience as easy, pleasant and informative as possible. Pacific Shores Roofing Company is committed to providing you with all the facts about your roofing options so you can comfortably make a highly informed decision regarding new or replacement roof. Your peace of mind is of utmost importance ensuring your confidence that you've made the right choice for your home. 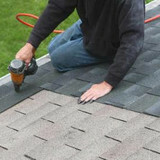 AquaSeal is a specialized gutter repair company. With over 25 years of experience, we’ve been saving homeowners and building managers time and thousands of dollars with highly effective maintenance solutions.